White Italian wood baseball quartz alarm clock with attached 4" x 6" frame! Appx. 12" wide x 5" tall. One AA battery not included. 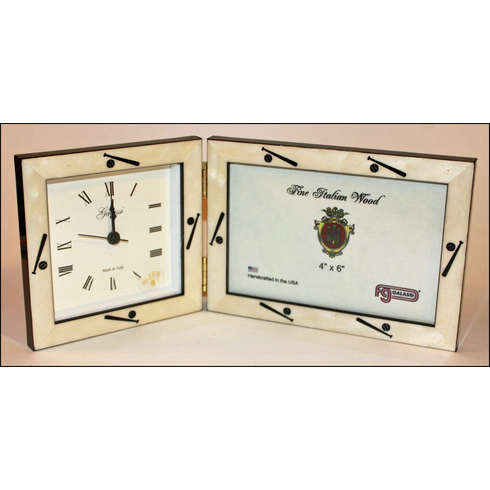 Clock is attached to frame with two hinges. White burlwood with embossed black baseball bats and balls.